← Clinical support desks – Hearing and treating patients! A new Channel 4 series begins tonight (Monday, October 7) which takes an in-depth look at how three ambulance services care for a whole host of different patients and their needs – and the impact that these needs have on the health service. Lyn is featured in the programme ‘999: What’s Your Emergency?’, and works in one of the Trust’s control rooms. This blog is about her shift on Saturday night. “It may be a cliché but Saturday night is most definitely the night for drinking and brawling. A high percentage of our calls tonight are for those who are intoxicated, have been vomiting or have fallen over. A large proportion of these people are suffering with something that will only be relieved by a good night’s sleep and there is very little that the ambulance service can do for them. It’s the job of the clinical coordinator to ensure that all the patients calling 999 are treated safely and appropriately and that we get to the most seriously ill people first. Managing those who are intoxicated can be challenging as it is very difficult to tell whether their level of consciousness is due to the amount of alcohol they have had or through another more serious cause. 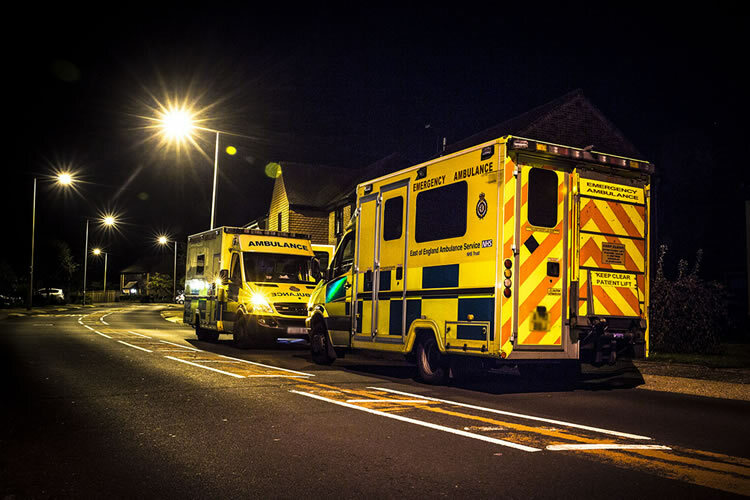 The reality is that whilst crews are seeing these people – who often simply need to learn what they can do for themselves – it is leaving other more vulnerable, and often very sick, patients waiting for a response. Evenings and weekends also present the challenge of there being no GP service available; patients can be frustrated by the time that it takes to obtain medical attention. In the hope of being seen quickly, or having a paramedic come out just to ‘check them over’, people call 999 for their minor injuries and illnesses. Tonight we have had calls for cut legs, injured fingers, diarrhoea, babies crying, sleep-walking females, broken teeth and constipation. None of these complaints warrants an emergency ambulance and our clinicians spend many hours either arranging or redirecting these patients to more appropriate services. Weekend nights also, sadly, see an increase in calls from those with mental health problems and depression. It can be frustrating for both them and us that the right help just isn’t available out of hours and there is very little that we can do for them other than refer them to A&E hospital departments. We have many who may call up to 40 times in one night – we do our best by triaging them in the control room but obviously there can be some risk involved in that, so we often ask a crew to visit them over that period to check that they have no emergency needs. This entry was posted in 999, Ambulance Service, Calling 999, Emergency services and tagged Emergency Services. Bookmark the permalink.